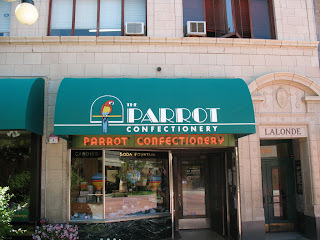 When I was in MT, I got to go to my favorite candy store again (had to make up for the snow!). This time I got a pic of some candy, but this was a few days after I got back and it had traveled in my luggage. So imagine it looking a lot fresher and less beat up! Anyway, there are various yummy chocolates (individually hand-dipped!) and my fav thin mints. They are some sort of powdered sugar mints with a different flavor for each color - white/wintergreen, green/spearmint, pink/peppermint, blue/cloves, yellow/lemon, orange/orange, red/cinnamon (and long ago they had a black licorice - blech) - um, yeah, I should know all the flavors! I've been going there for over 30 years! It's in the town I was born and raised in - Helena, Montana, and has been there since 1922!! 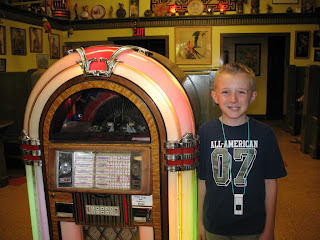 My mother and her friends would "hang out" there in the 50's, listen to the jukebox and order from the soda fountain. I was introduced to it at a very young age and it is now a MUST every time I go back to visit. Do you have a favorite candy store? I wish I could take you all to this one with me! Now- please link up some chocolate! It's easy to do. 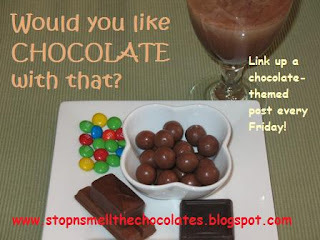 Write a new chocolate post or find an old one and link it up with Mr. Linky below. If you're not sure how to do it, just ask! 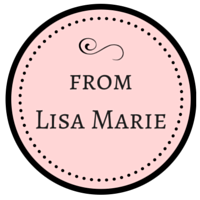 I'm sure all sorts of wonderful things will happen if you do link up - like me leaving a comment on your blog (LOL!) or you thinking constantly about chocolate or you finding a new chocolate idea! Have a lovely chocolatey Friday! Linking this up to Your Life, Your Blog at Real Life. Go and link up any post from the previous week! Those mints look so.... good! I really like mint like that . My mouth is watering now. Melt in my mouth. Oh, there goes my will power...lol. That looks like such a neat place! Love the booths! I want to go there with you my friend. What a quaint place! And your chocolates still look yummy! Big beat up chocolate taste just the same as fresh size hugs to you my friend. I didn't even notice you messed with your background. Did I give you permission? Do I have to send back your stuff now that you are figuring it all out? LOL. Big I'm not needed any more size hugs to you! LOL. Man, I made this mint fudge, and as much as I love mint, it tastes too strong. Think I'll stick to the original recipe and just come over here and have some of yours, ha! For those of you who can't wait... the recipe is Snicker Pie! Of course, I did use Andes. The ones you have here look like a version of gourmet Mentoes with a creamy texture and flair. How fun is that? Those memories are what it's all about. That place looks like fun! 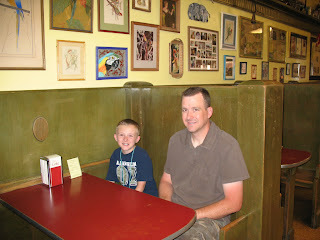 It reminds me of one we visited in Indiana; I can't find a website but the name is Schimpf's. Candy Stores are always fun. Glad you survived your snowy trip! 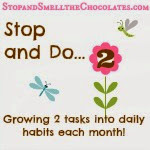 Hanging around this blog is dangerous for a pregnant woman...I'm about to o dive headfirst into a bag of chocolate! LOL! Happy Chocolate day, uh evening, almost over. 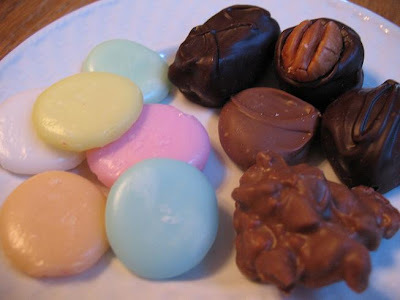 I have a friend who just made a plate of Rocky Road candy. Yum... I will have to have you try it sometime. I don't have a chocolate post (i don't think so anyway?) 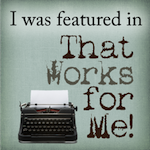 but I stumbled upon your blog and just wanted to say I love the title! 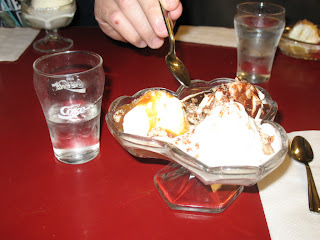 I miss being able to go into a shop for a sundae - I don't have a favorite shop but someone once brought me Fran's from San Francisco and I DIE for them - I send them for all occasions to friends and family!